‘Ronald McDonald House Charities are an independent non-profit organisation that provides a range of support to seriously ill children and their families when they need it most. Houses are located around Australia and are attached to major women’s or children’s hospitals. In Melbourne, the Parkville house is attached to the Royal Children’s Hospital and the Monash house is attached to Monash Children’s Hospital. The houses provide a ‘home-away-from-home’ for seriously ill children undergoing specialist paediatric medical care and their families. They are a place for families to be together, with all the comforts of home during a difficult and stressful time. The main service offered is accommodation, but families can also enjoy recreational activities, family dinner nights, access to the Ronald McDonald Learning Program, respite through the Ronald McDonald Family Retreats and Ronald McDonald Family Rooms at Wodonga and the Northern Hospital. 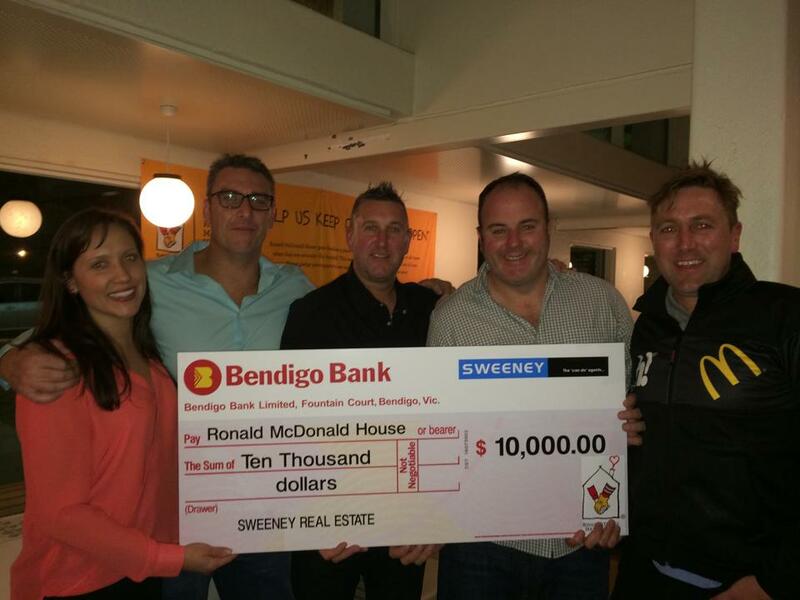 A Family Room program is also being developed with Western Health, Sunshine Campus.In 2014 Sweeney Estate Agents were proud sponsors of the Ronald McDonald House Ride for Sick Kids. 40 brave cyclists navigated over 500km through some of the most remote, picturesque and at times challenging terrain in Victoria as part of the Ride for Sick Kids. Aiming to raise over $500,000 for Ronald McDonald House Charities, the seven-day event took place from 23rd to 29th August.